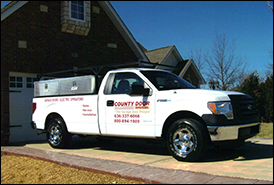 For quality garage door installation, service and repair that you can count on, call County Door Systems. Serving the entire St. Louis Metropolitan area, we offer the highest level of customer satisfaction on quality Clopay® garage doors and LiftMaster® garage door operators. We specialize in both residential and commercial installations. We also maintain a full inventory of replacement parts for any garage door or electric garage door opener. 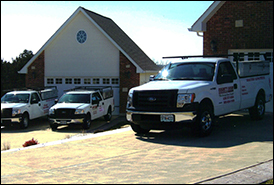 Free estimates and referrals are provided upon request and all of our work is guaranteed. County Door Systems is a certified Clopay® garage door dealer that provides expert sales and service throughout the St. Louis Metropolitan area. Owners Roger and Bonnie Yates and their team of professionals have more than 50 years of combined experience in the garage door business. No job is too large or small; we are dedicated to providing all of our customers with outstanding products and customer service. Click to Call today for assistance with your residential or commercial overhead door.